Established in 1881 in central Tokyo, the Seiko watch brand has always strived to achieve a consistent dedication to developing their ranges of watches for men and women. In this range of Seiko watches at Hillier Jewellers you will find technology focused watches that incorporates solar power and precision water-resistant chronograph elements. Not only are these Seiko watches extremely practical, they are also undeniably attractive and will appeal to those seeking a good looking designer watch for their collection, or as a luxury gift for a loved one. The Seiko men’s watches have various functions to suit your needs, from chronographs, date windows, luminous dials and luminous hands for optimum visibility. 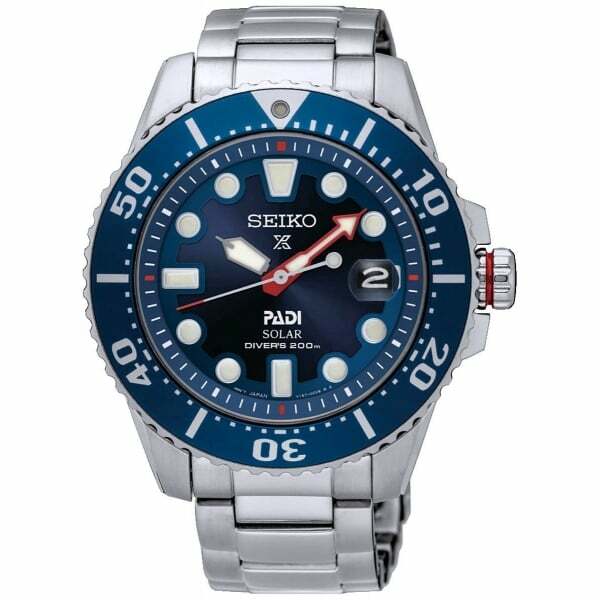 Our men’s watches in this range of Seiko watches are also available in an array of different finishes, from sleek stainless steel to traditional rubber straps associated with their divers watch heritage. Presented in an official Seiko watch box, your brand new watch will also be covered by a 2-year manufacturers guarantee for peace of mind. Similar to the Seiko watches displayed in this collection, the Hillier Jewellers watches range provides high quality, hard working timepieces to suit all tastes. Discover the complete selection of men’s watches and ladies watches from top brands that perfectly encompass style with functional accessories. Seiko has a number of ranges and styles to suit any man or women's watch needs, as an entry-level watch the Seiko 5 is a great choice, with its world-renowned automatic movement and range of bezel, designs and watch strap type to choose from it has a good range of choice and with prices starting under £200 the Seiko 5's are a great place to buy a quality timepiece and enter the world of watches. The Pressage range is your more classical looking watches, still with a range of movements to choose from such as chronograph, solar, kinetic, quartz or automatic the style of the watches are very traditional. So if you are looking for a cocktail or dress watch this is the range for you. Prospex is where most of the Seiko divers watches sit although they do have other ranges catering to this type, Seiko is one of the leading manufactures of divers watches and produces timepieces of the highest quality that divers and watch enthusiasts alike love and admire.